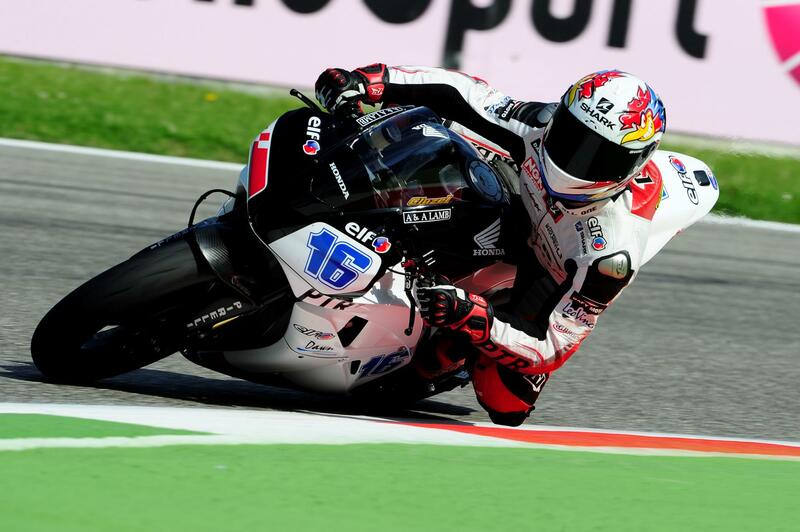 Sam Lowes claimed second position in the Monza WSS race after a brilliant battle with PTR team-mate Jules Cluzel. The 21 year old Brit looked set for his maiden world championship win but lost the lead to Cluzel after a mistake on lap seven which cost him over four seconds. The Bogdanka PTR Honda rider re-joined the track and fought hard for the remaining nine laps; eventually getting onto the back wheel of Cluzel mid way through the final lap. Lowes then passed the Frenchman on the way into the final corner, but ran slightly wide allowing Cluzel to re-take the lead and win his first ever WSS race. Two time World Supersport champion Kenan Sofuoglu recovered from a crash on the warm-up lap to secure third place and retain his overall championship lead. The Turk now leads the standings by ten points from Lowes. The fifth round of the championship takes place at Donington Park next weekend.